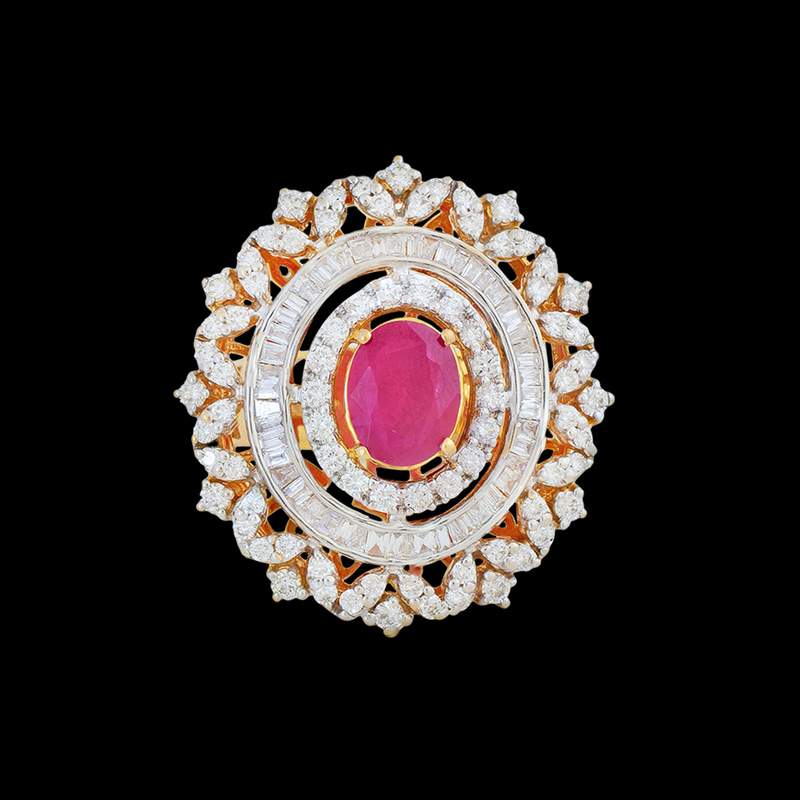 Delightful Flower Diamond Ring makes it all about adorable feminine beauty that is represented by shimmer and color. Made with 2CT diamond, this latest ring design proudly flaunts its colorful center with utmost perfection. Different types of diamond settings in circles make the ring all the more attractive and eye-catchy. The pattern of the flower makes the diamond ring design for females an obvious choice amongst women, who like to keep it classy, subtle and floral.